When Francisco Mitra became the president of France in 1981, France requested the Egyptian government to host the mummy of Pharaoh (Firon) for the purpose of running laboratory and archaeological examinations on the mummy of the most notorious dictator ever lived on earth. Upon arrival royal attendants were there including the French president himself and all ministers who bowed in honour for the mummy. When the ceremony ended, the mummy was carried to a specially-designed section at the Archaeology Centre of France. It was tested by the greatest French archaeologist and anatomical scientists in order to discover more about such a great mummy. The scientists were headed by Professor Maurice Bucaille. 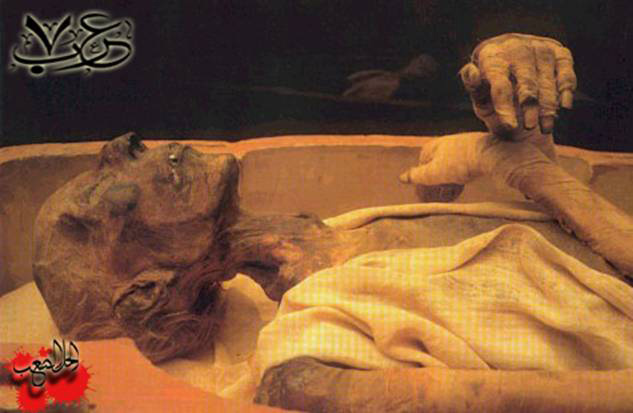 Scientists were trying to restore the mummy while Professor Maurice was mainly concerned with how did this mummy die! The final report of the scientists was released late at night which stated that the remaining salt in the mummy is an overt evidence that it was drawn in the sea, and the body was rescued very shortly where it was immediately embalmed to be saved. An amazing thing was still confusing Professor Maurice is that how could this body possibly be safer than any other mummy despite being taken out of the sea up until this time. 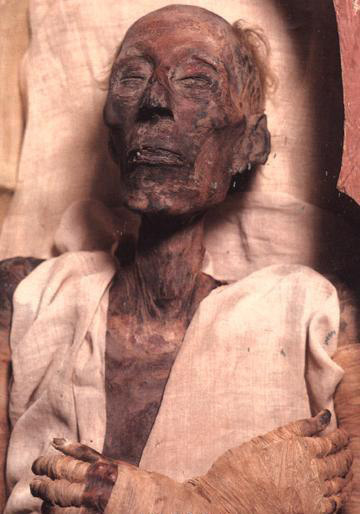 Professor Maurice was writing his final report on what he thought would be a new discovery about saving Pharaoh’s body immediately after his death and embalming it. 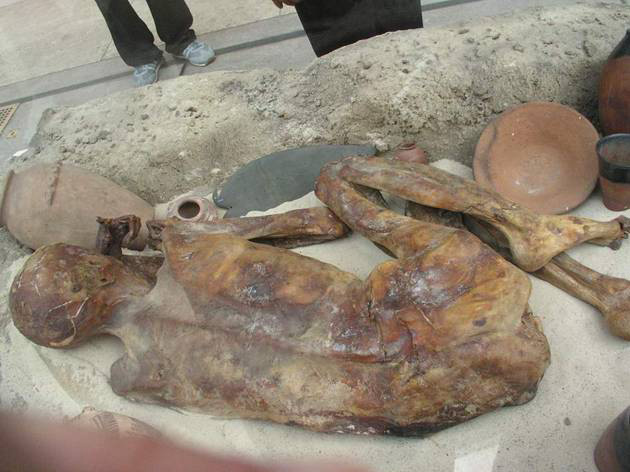 And there, someone whispered to him that Muslims claim to know something about the drowning of this mummy. Yet the Professor firmly denied such thing saying that it’s impossible to discover this without the development of science and without using his high-tech and complicated laboratories and computers. How can a book existed 1400 years ago speak about the mummy that was only found 200 years ago, in 1898??!! How can that be possible while the ancient Egyptian heritage was discovered only a few decades ago and no one knew about it before??!! The Professor sat down pondering on what he was told, about the book of Muslims while his Holy Book narrates only the drowning of Pharaoh without saying anything about his body. The Professor couldn’t sleep that night till they brought him the Old Testament where he read: “the sea drowned Pharaoh and his army, no one else was left alive” He was surprised that the Holy Book didn’t mention about the destiny of the body and that it will be saved. 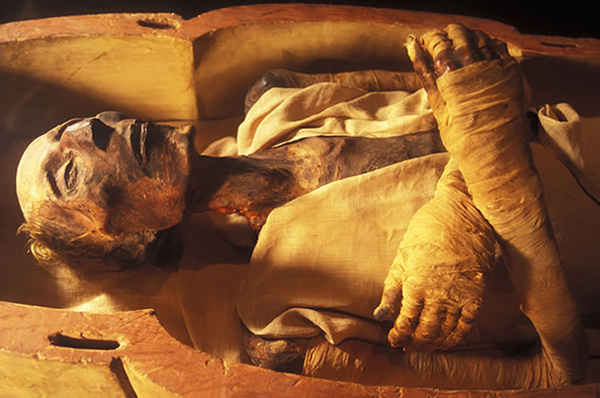 When the scientists were done with the mummy, France retuned it to Egypt, but Professor Maurice couldn’t rest for a moment since he was told that Muslims know about the safety of the body. So, he decided to travel and meet Muslim scientists and there he spoke about his discovery of the safety of the mummy after its death in the sea and so on. We took the Children of Israel across the sea: Pharaoh and his hosts followed them in insolence and spite. At length, when overwhelmed with the flood, he said: "I believe that there is no god except Him Whom the Children of Israel believe in: I am of those who submit (to Allah in Islam). The Professor was struck when he read that and immediately stood in front of the crowd and said loudly: “I believe in Islam, I believe in Quran”. Then he went back to France with a different face he travelled with. As a result of all years of his research, Professor Maurice wrote a book that shook all Europe, especially the scientists there. All copies were sold out at a very short time. When you visit the Cairo Museum where the mummy is preserved and there you get astonished at the scenery of thousands of people from all over the world visiting the place every day, unfortunately, many of the tourists there would think: “Wow, look at that! Amazing!! So nice to see people of all times!! Without realizing the intended lessons that Allah has kept this body a Sign to all mankind of anyone who denies Allah and His messengers. “When Moses came to them with Our clear Signs, they said: This is nothing but sorcery faked up: never did we hear the like among our fathers of old! Moses said: “My Lord knows best who it is that comes with guidance from Him and whose end will be best in the Hereafter: certain it is that the wrong-doers will not prosper. And he was arrogant and insolent in the land, beyond reason, - he and his hosts: they thought they would not have to return to Us! So We seized his and his hosts, and We flung them into the sea: now behold what was the end of those who did wrong! And We made them (but) leaders inviting to the Fire; and on the Day of Judgment no help shall they find. “Has not the time arrived for the Believers that their hearts in all humility should engage in the remembrance of Allah and the Truth which has been revealed to them, and that they should not become like those to whom was given Revelation a foretime, but long ages passed over them and their hearts grew hard? For many among them are rebellious transgressors. Know you (all) that Allah gives life to the earth after its death! Already have We shown the Signs plainly to you, that you may learn wisdom. For those who give in charity, men and women, and loan to Allah a Beatiful Loan, it shall be increased manifold (to their credits), and they shall have (besides) a liberal reward. And those who believe in Allah and His messengers- they are the Sincere (lovers of Truth), and the Witnesses (who testify), in the eyes of their Lord: they shall have their Reward and their Light. But those who reject Allah and deny Our Signs, they are the companions of Hell-Fire. Dr. Maurice converted to Islam & he kept researching the "Qur'an" for more than 10 years in the eyes of modern science & he studied Arabic language too , and he came to the conclusion that the "Qur'an" & modern science are in total harmony. This article was sourced and further modified and updated for our readers with documentary and further information.